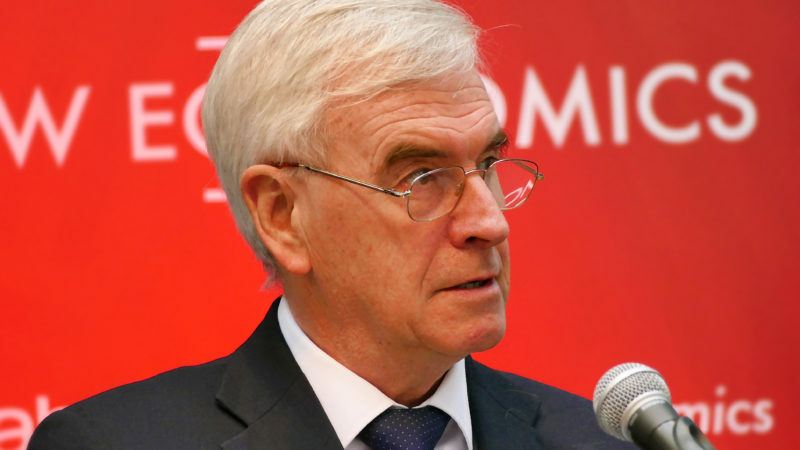 Kevin Gulliver argues that Labour will need the ‘big battalions’ of the state and the ‘little platoons’ of civic society to build a fairer Britain. On Monday, the Guardian’s John Harris argued that Labour is divided between a decentralised political movement that wants to establish a more democratic and cooperative economy, and a top-down project wedded to statist social democracy of the post-war period. This is a false dichotomy. To build a more equal and fair society, based on embedding democracy and enhanced empowerment of people and communities, Labour needs to develop a narrative that encompasses both traditions. This requires making a case for the ‘big battalions’ of state power in reducing inequality and spreading influence, wealth and opportunity, while setting free the ‘little platoons’ of community endeavour, co-operatives and mutualism, and the reach of localised economies to improve lives and life chances. Top-down state power is needed to create a long-term public service investment programme, a more progressive tax system, and reshaping the welfare state to repeal Tory benefit ‘reforms’. It also vital to introduce a real living wage and perhaps eventually a citizen’s universal income. Devolution from Whitehall to proper regional government – not the patchwork quilt of combined authorities and metro mayors we have at present – and to revitalised local authorities, must be part of a new Labour governance settlement too. Such devolution might be backed-up by regional investment banks, worker involvement in businesses, and devolution of service delivery to community enterprises and housing co-operatives. There is ample evidence that the co-operative economy is more productive and that localised economies retain greater wealth in their communities rather than bleeding into the pockets of shareholders of multi-nationals . An example of the ‘big battalions’ and ‘little platoons’ working in concert to solve the UK’s housing crisis might be mass public house-building alongside the development of community land trusts, self-build initiatives and tenants management co-operatives. This would combine economies of scale with responsive, localised management. A future Labour government will also need, as Harris points out, to respond to changes in the labour market and to the impact of technology. Introducing policies that appeal to the UK’s growing number of self-employed and freelancers (at almost 5m people), and mushrooming zero hours contracts (now at 1.7m), while mitigating the effects of continuing mechanisation will need to be thought through. Promoting more comprehensive workers’ rights, and ensuring that the UK’s economy is attuned to human needs in the face of the growth of Artificial Intelligence (AI) in future, remain key challenges that go unanswered by the present government, but must form the bedrock of a future Labour industrial strategy. Similarly for climate change, developing policies to develop the green economy, as Labour has done at its conference this week, is vital. Both to halt global warming and to provide thousands of new, high-skilled jobs. To join-up these approaches, Labour must seek to develop a wealth creating, asset-owning, power-sharing and environmentally friendly narrative that makes the most of its two traditions – top-down social democracy and bottom-up civic society innovation. Kevin Gulliver is Director of Birmingham-based research charity the Human City Institute, is former Chair of the Centre for Community Research, and part of the SHOUT save social housing campaign, but writes in a personal capacity.